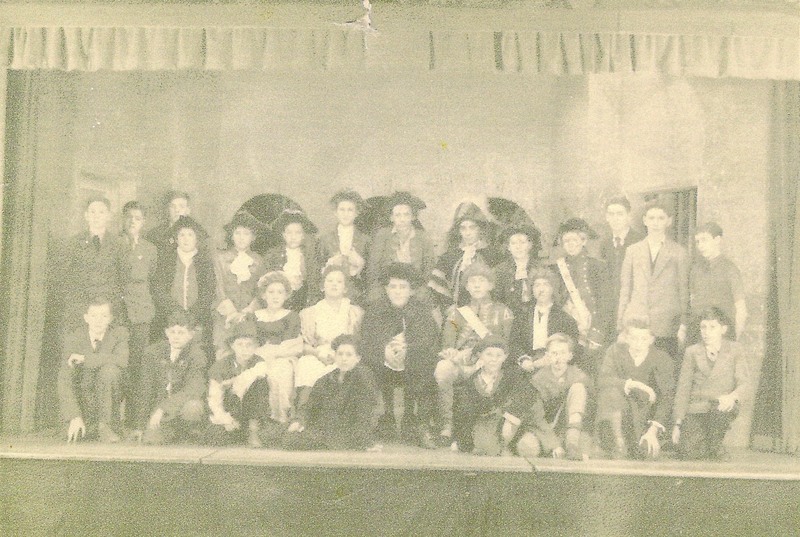 In 1955/6 the lower hall was used for performances of Sweeney Todd, partly because it had always been the hall for the boys' school, and very conveniently had a trapdoor in the stage floor to enable a "disappearance" of Todd's victims. 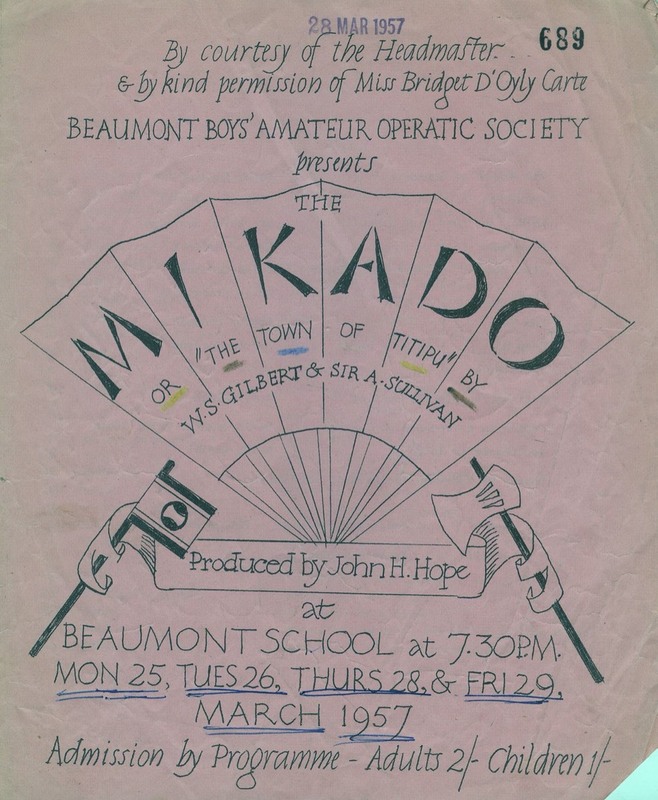 Between 1953/4 and 1958/8, when there were only boys, concerts, plays and operettas were performed upstairs. 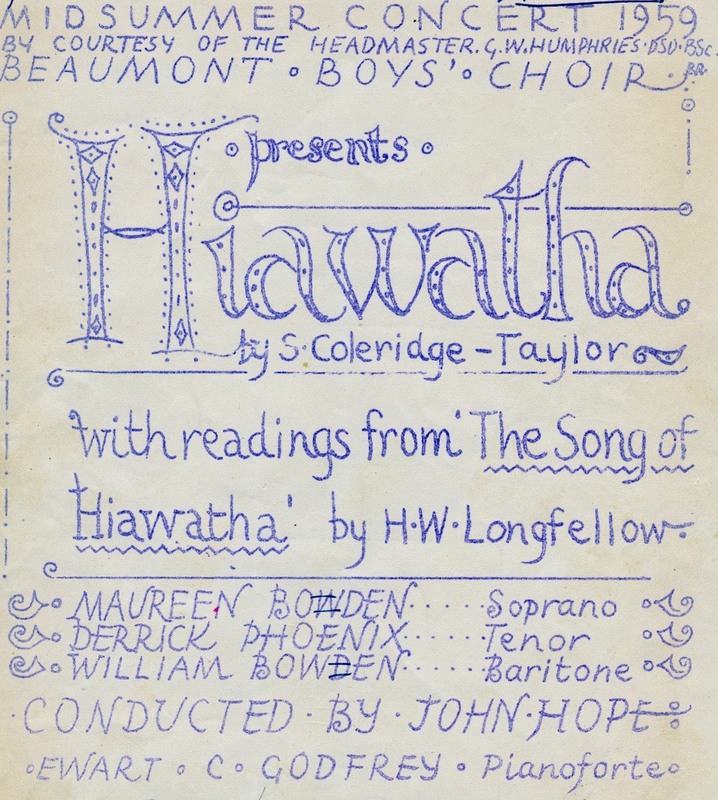 The need for a new senior school in the Fleetville area became evident soon after the First World War. But in those days you produced senior schools in pairs. The Education Authority acquired land on the south side of Hatfield Road (the present Fleetville Junior School). It was eventually realised that there was only space for one school, and a girls' school (Central, opened in 1931) was put up. This later became the girls' grammar school, and a search for a non-selective senior building resulted in a site next to Oakwood Drive where it had been intended to build houses. Beaumont Girls' School occupied the upper floor when the buildings were opened in 1938, while the boys occupied the ground floor. But these were two separately run schools. 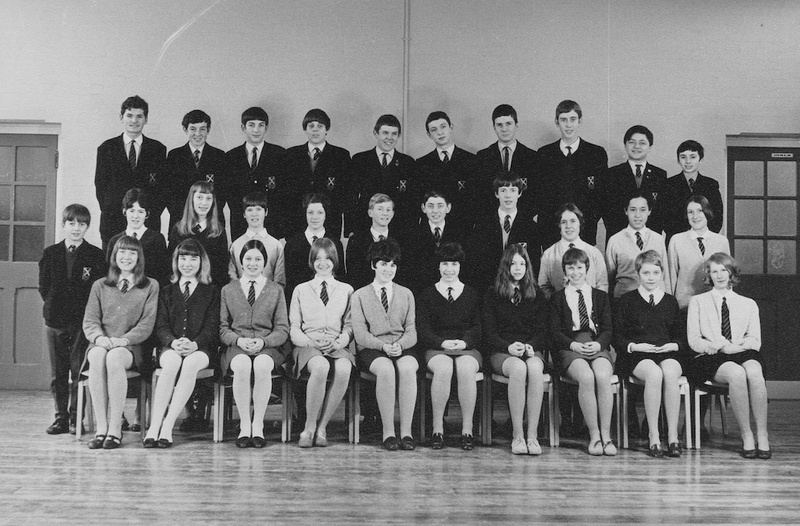 The first pupils came from Hatfield Road School near the city centre, Colney Heath (which allowed it to change to a JMI), Fleetville (already a primary), and Priory Park, a senior girls' school in Old London Road. 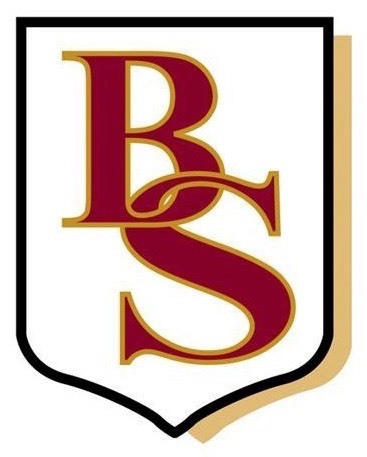 The names changed after 1944, from Beaumont Senior Schools to Beaumont Secondary Modern Schools. 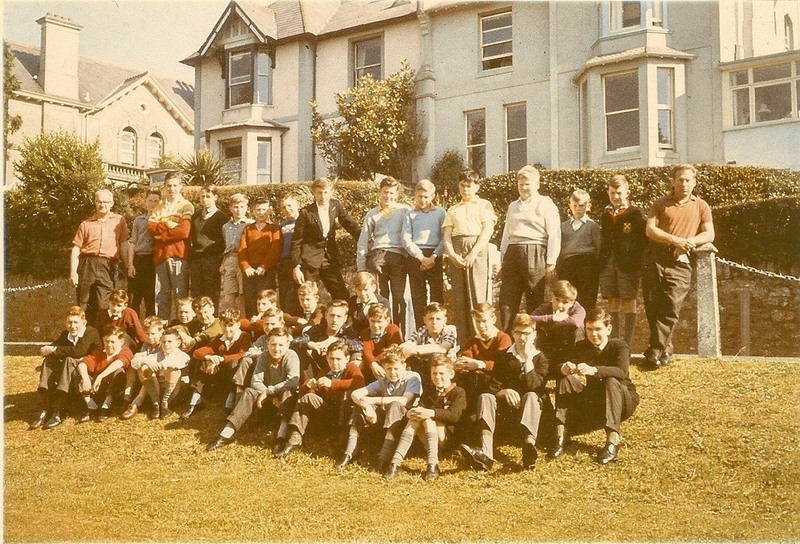 As the pupil numbers began to exhaust available accommodation shortly after the post-war increase in the leaving age, temporary buildings arrived. 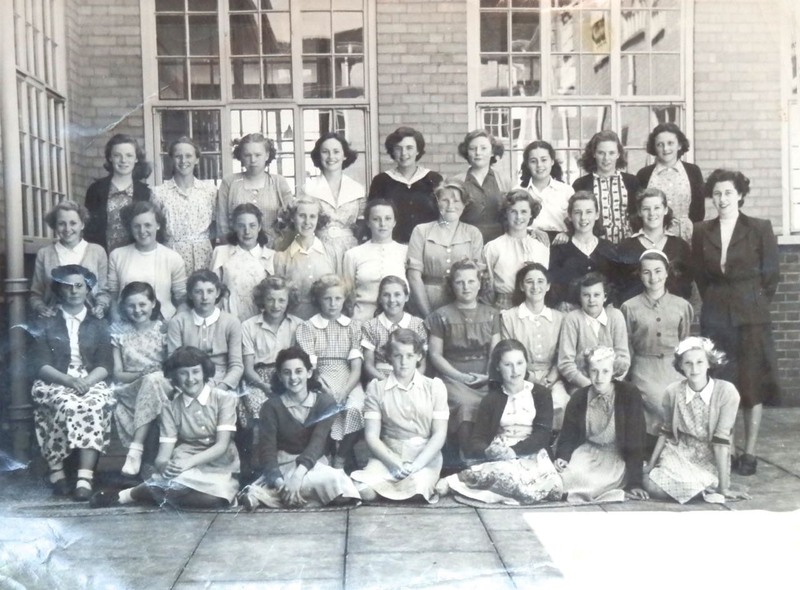 In 1953 the girls' school moved out to the buildings in Hatfield Road, Fleetville, after the girls there went to newly-opened premises in Sandridgebury Lane (STAGGS). 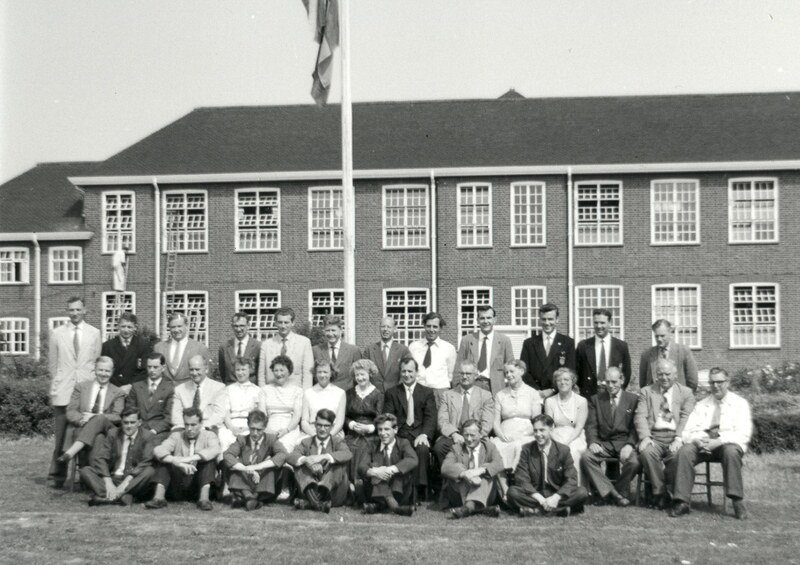 So opened Beaumont Girls' Secondary Modern School in Fleetville (later renamed Sandfield). 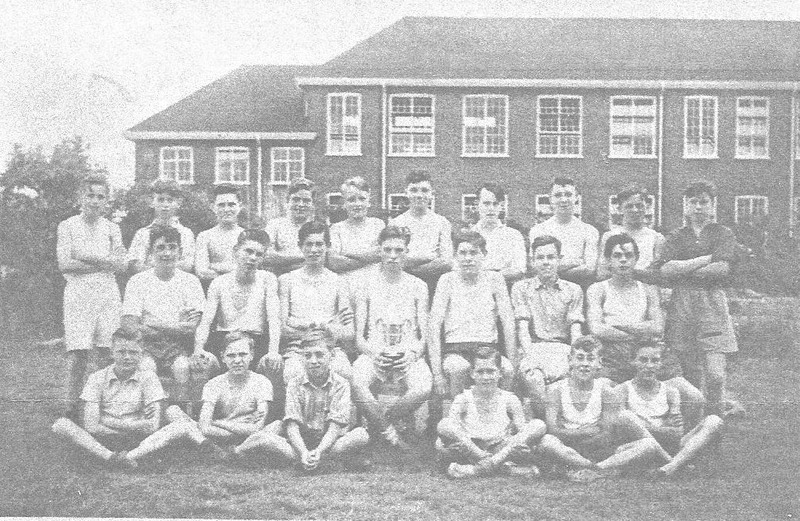 From 1954 to 1959 the Oakwood Drive buildings were a boys' school. 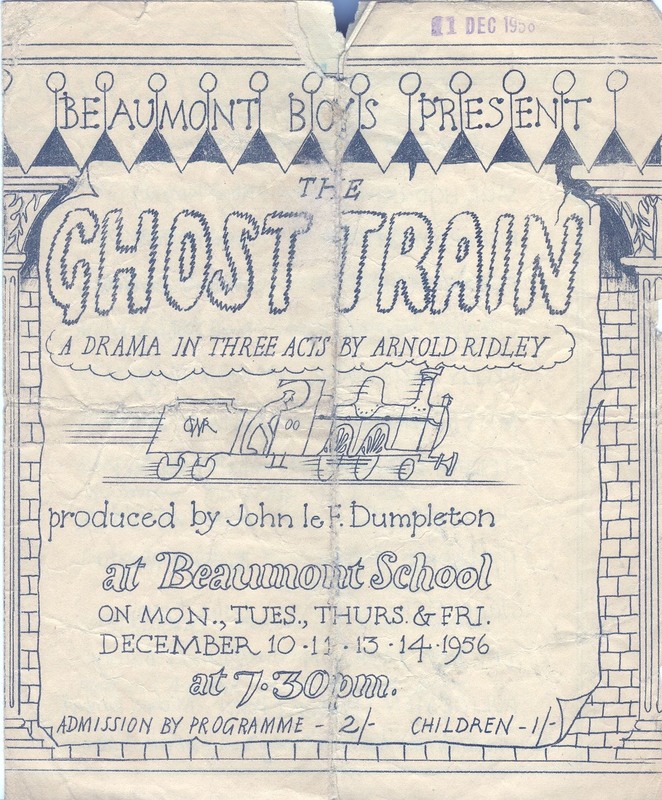 In that year many older boys moved to newly opened Marshalswick Boys' School and Beaumont once more became a mixed school (as opposed to a girls' school and a boys' school!). It has continued to be a mixed school, and continues to expand its suite of buildings and facilities. No members of the team have so far been identified. Perhaps, with one or two names it might be possible to guess the year. SECOND ROW L-R: Jane Henman, Brian Rodford, Cathy Ryan, Peter Ward, David Hunt, Colin Bridges, Chris Gautier, Jill Spicer, Arnold Jeffares, ? There were four Houses: Australia, Canada, New Zealand and South Africa. No-one has been identified, but it seems clear that Canada House won a trophy. This would have been the first peace time camp. 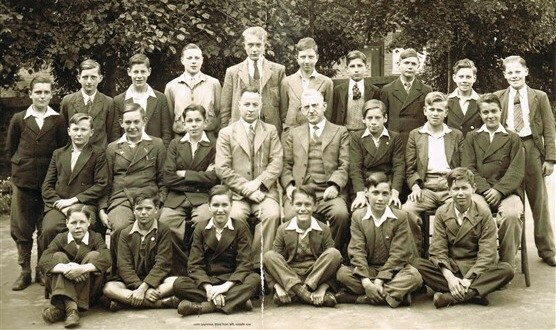 A 1939 picture from Hatfield Road Boys' School in the year after many of its younger pupils transferred to the new Beaumont Boys' School. 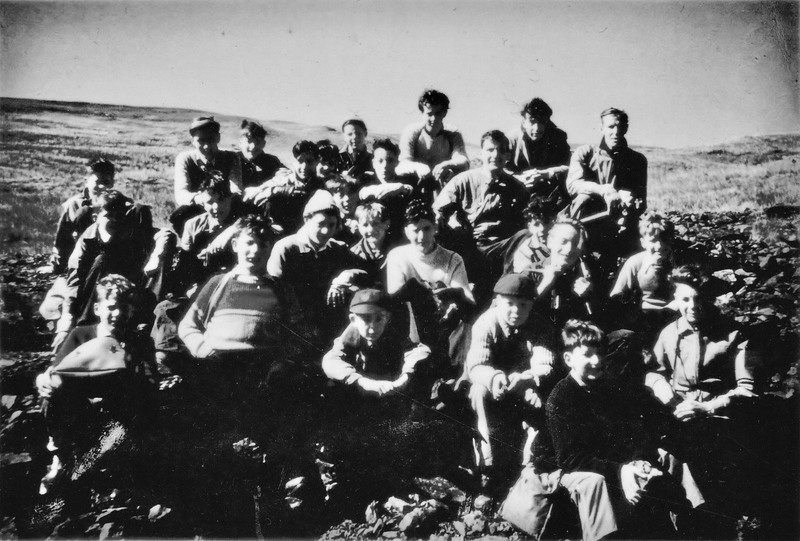 Though "out of area" some of these students may have lived in the Camp or Fleetville districts. 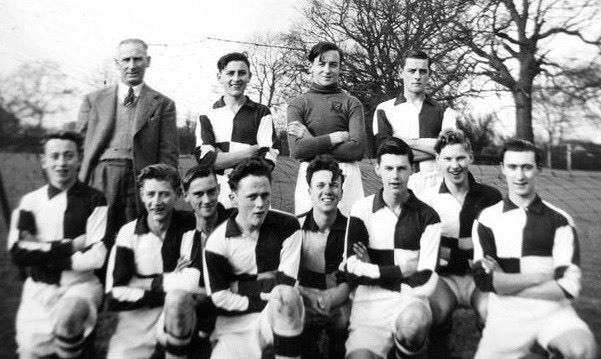 Included in this picture is Brian Butler (BACK ROW L-R: 4). Others are Brian Griffiths, David or Roger Miles, David Woodhead, ….. Gorman, David Wilkinson, ….. Spooner, ….. Clayton, John Hiscott, Christopher Rice, ….. Fletcher. But we are not quite sure who is where! It is clearly not a single class; maybe it is a House group. Photo courtesy The Herts Advertiser. The photograph above was taken on the front playground. 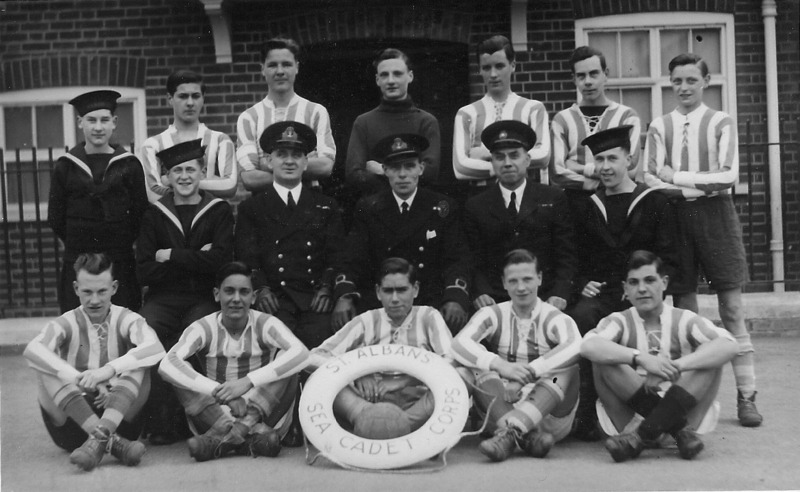 At the beginning of the Second World War the Sea Cadets trained at the school before moving to new headquarters at Verulamium. One recognisable face in the centre of the middle row , is teacher Mr A Coxall, who was also a Special Constable. He also arranged experience visits to Portsmouth naval and marine bases. We also know that A C Tuck is also in the same row. One other officer, un-named is also in both pictures. 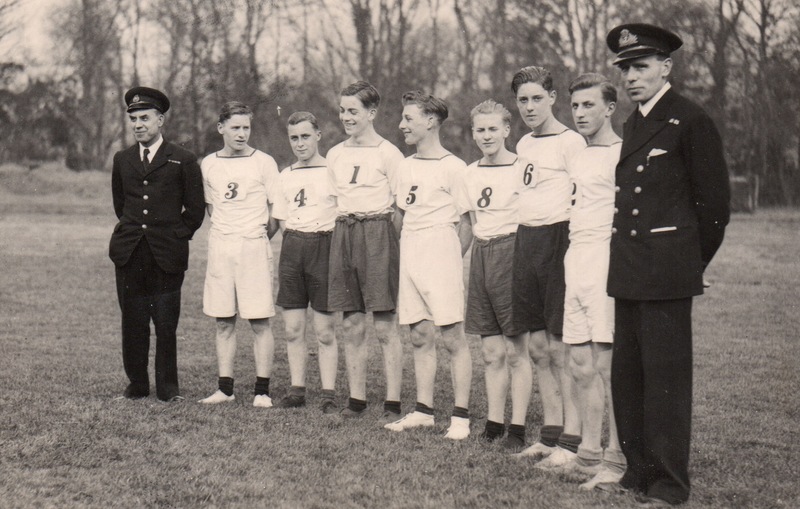 The shoes worn in the photo below suggest this might have been a Cadets cross-country team, a picture possibly taken at the Hatfield Road end of the front field. 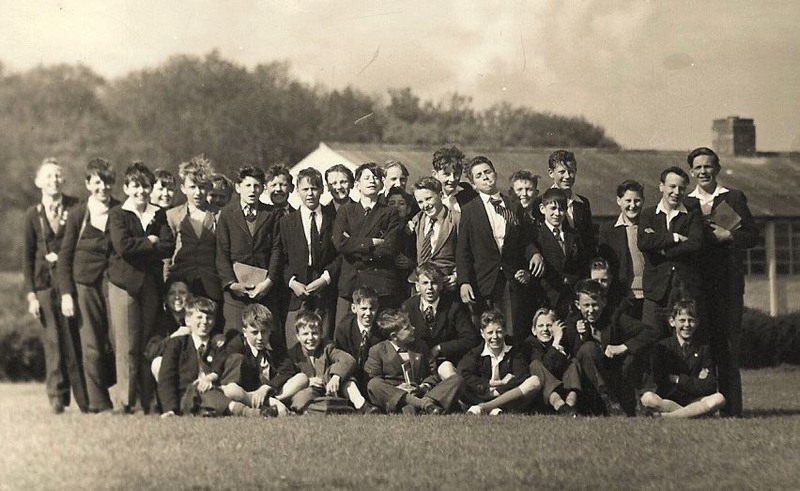 FRONT ROW L-R: Philip Jones (second from right), Alistair Robertson (far right), both in black school blazers. 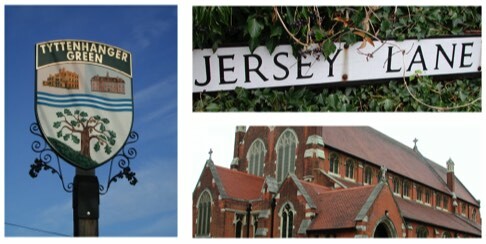 Do any other photos exist of this or other trips to Somerset, Snowdon, Portsmouth, France? It is the teacher who has been recognised first; her name is Miss Tucker. FRONT ROW L-R: Barbara Cranfield, ? 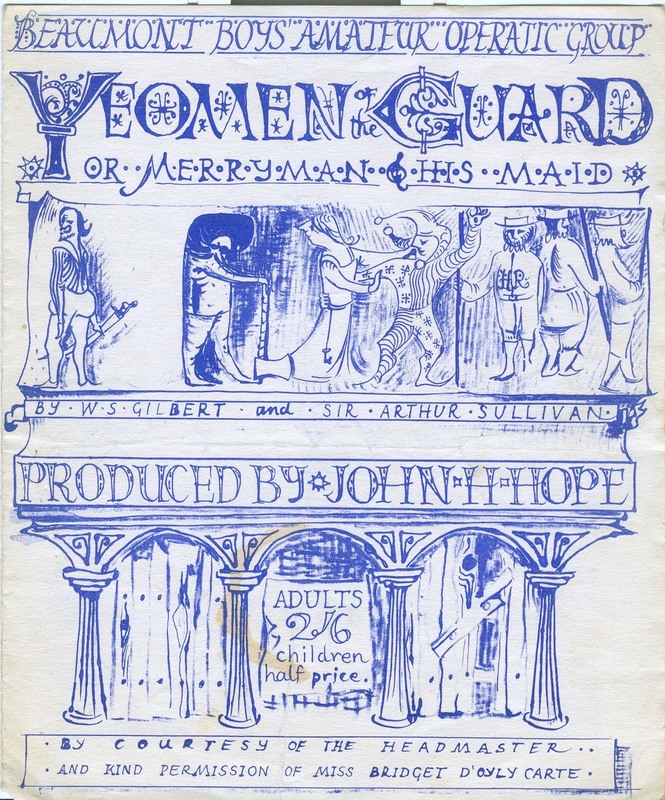 , Betty Kent, Edith Shadbolt, Miss Tucker, Maureen King, Jean Shepherd, Pat Knight, Margaret Martin. Note: Margaret Martin has been named twice! BACK ROW L-R: ? , Ursula Tyrer, ? 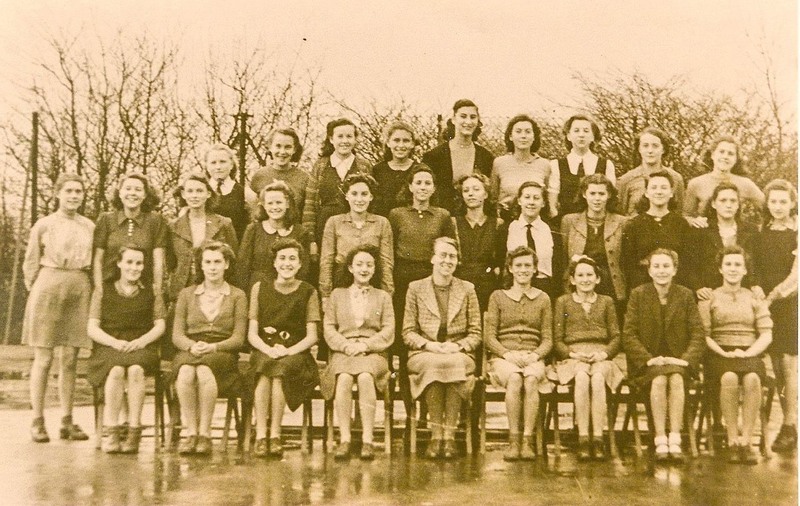 , Daphne Spicer, Miss Ellis (head teacher), Jean Pryke (Smith), Beryl Seabrook, ? , ? FRONT ROW L-R: ? , ? , Edith Shadbolt, Betty Kent, Margaret Martin, Jean Dougleish. This is possibly a prefects line-up with their head teacher. The picture was taken in one of the quadrangles of the original building. 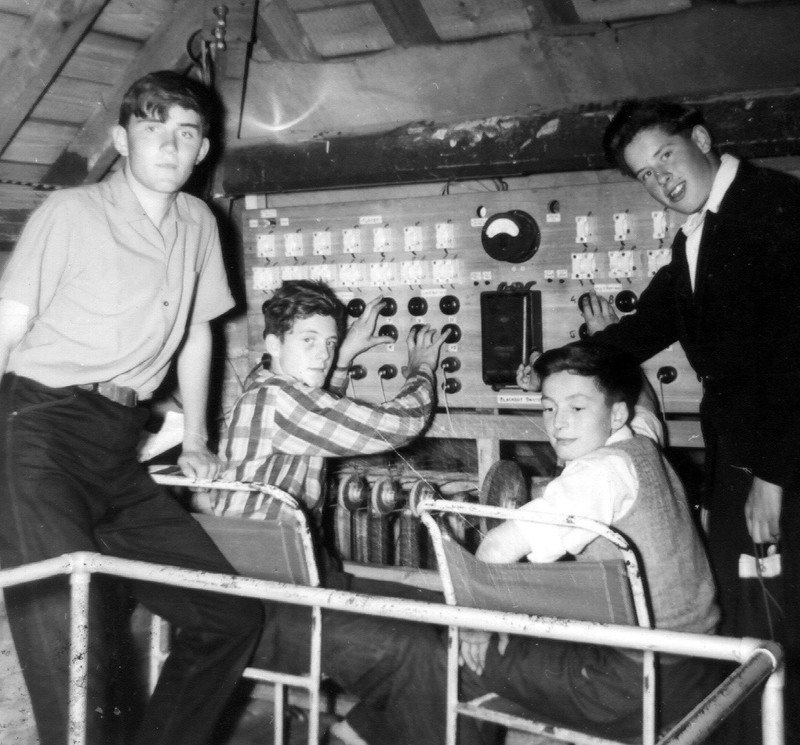 In the 1950s science teacher Alf Childs constructed a stage lighting control panel above the stage in the upper hall of the original building, formerly the girls' school hall. 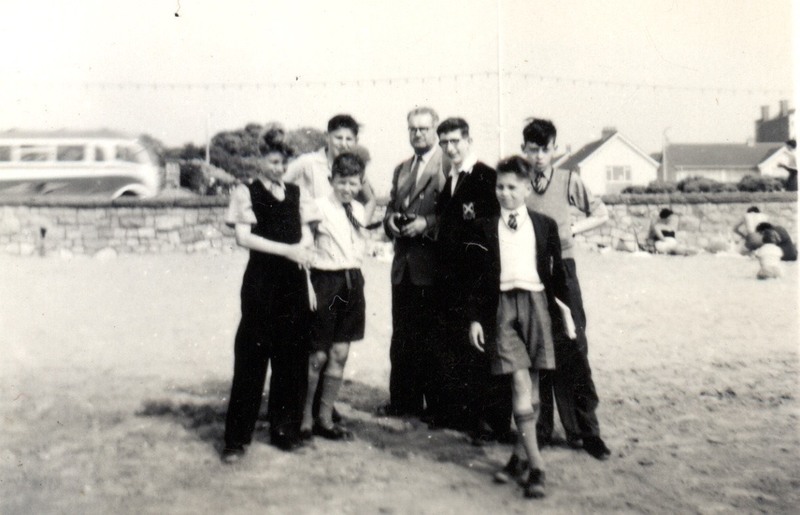 On the school journey to Somerset in 1958, a group visit to the Weston Super Mare beach in full school uniform! 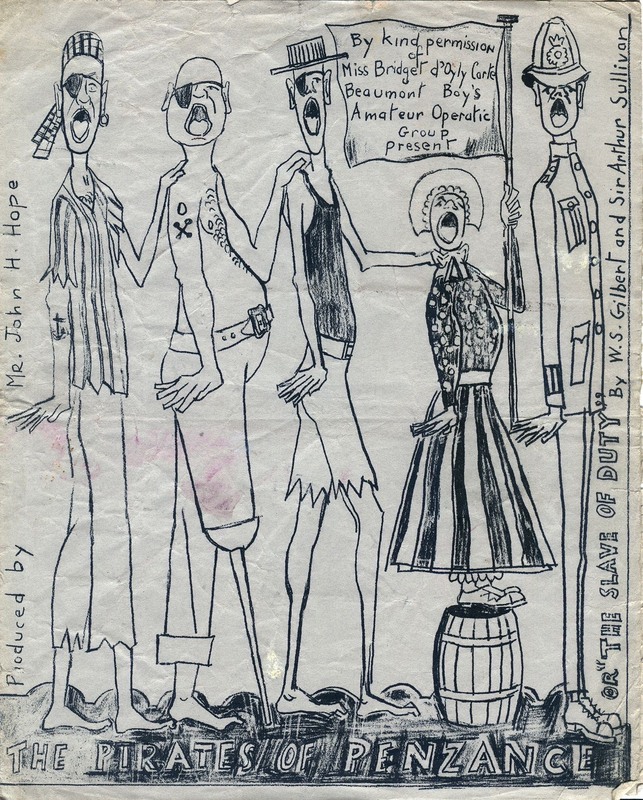 This production of Sweeny Todd in 1955 was produced by John le F Dumpleton. 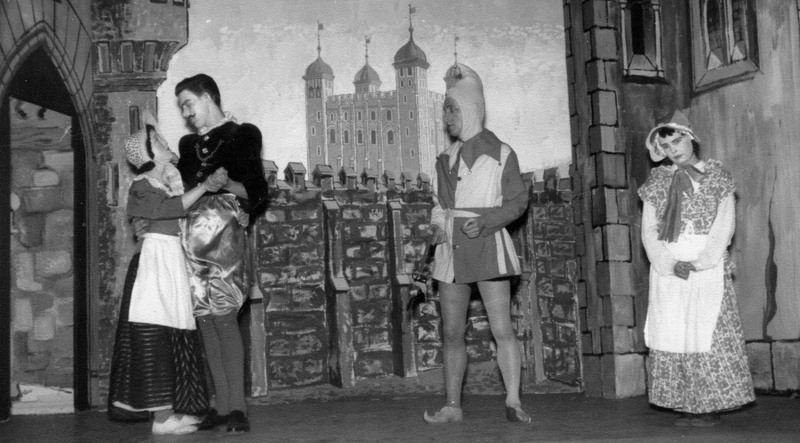 This visit to Wales, based at Aberystwyth, was in 1958. 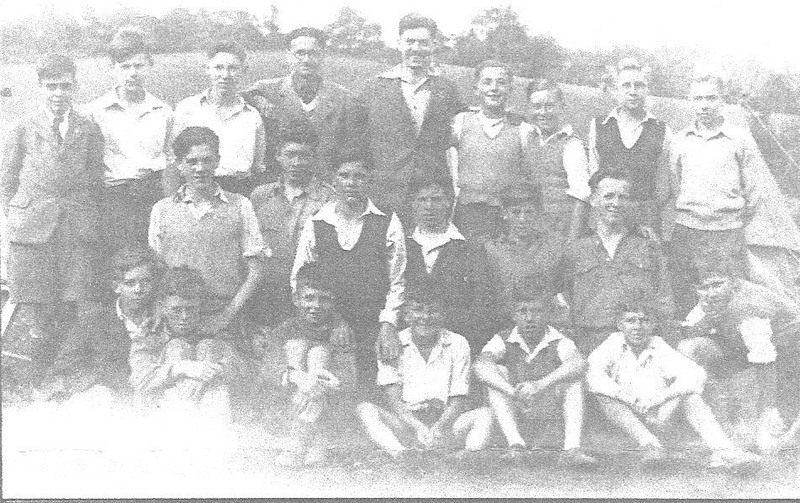 The original was in colour but has been reproduced here in monochrome to help identify faces more readily. Only one identified member of the party so far: BACK third from left is Graham Lines. 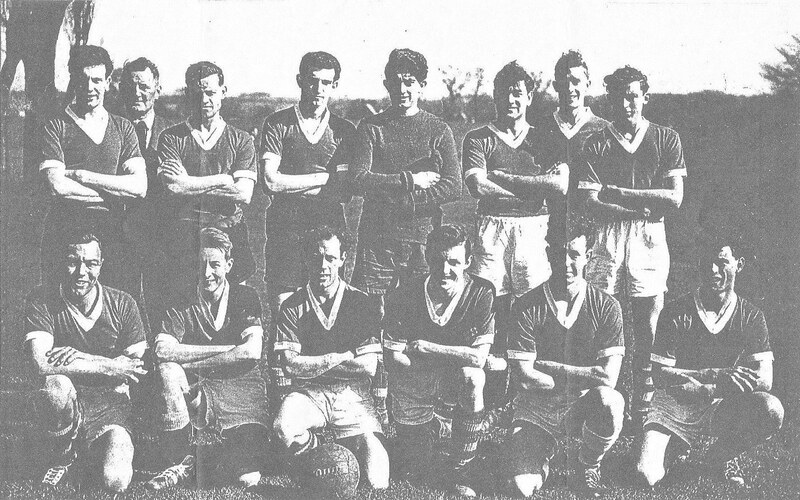 BACK ROW L-R: Stephen Bryan, Patrick May, Stephen Spary, Michael Mercer, Paul Brignall, Tommy Stewart, Peter Hearn, Hadyn Wigg, Terry deFrancesco, Mick Inglis. MIDDLE ROW L-R: Geoff Knight, Sandra Mortimore, Angela Vokervitch, Sandra Newman, Christine James, Chris Houghton, Peter Toop, Chris Moore, Linda Hunt, Sheila Johnson, Lesley Brookfield. 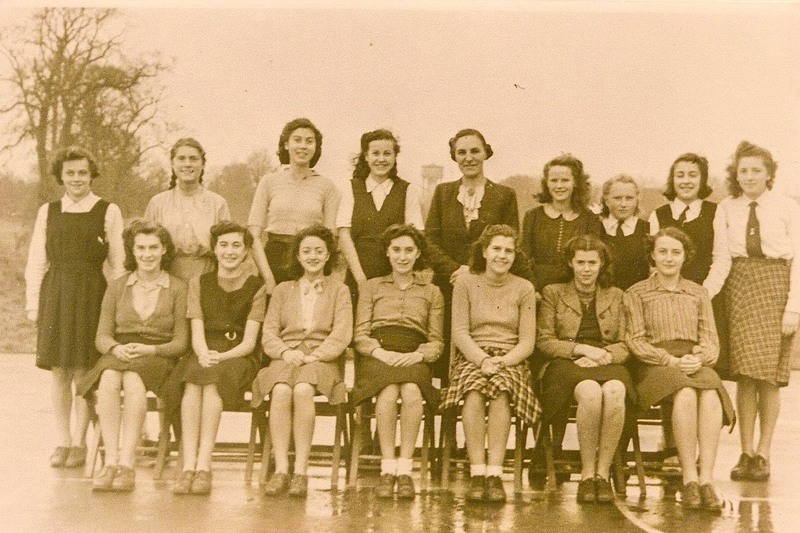 FRONT ROW L-R: Corina Craven, Gillian Purkiss, Josephine Loudon, Pamela Fryatt, Christine James, Christine Matthews, Heather Gabler, Elizabeth Tebbit, Hane Pryke, Anne Windsor. BACK ROW L-R: David Nixon, Ralph Terry, John Cunningham, Barbara Gayle, Alan Littlechild, Tony Alman, David Mercer, Karn Cheung, Don Fraser, Patrick May, Terry de Francesco, Jeremy Billington, Peter Sadler, Peter Toop, David Blundell, Stephen Spary. MIDDLE ROW L-R: Nick Bathurst, Chris Sealy, Vince Cuiffa, Josephine Louden, Stephen Luck, Steve Hutchings, Hadyn Wigg, Chris Moore, Sandra Newman, Christine Matthews, Corinna Craven, Sandra Mortimore, Susan Cleaver, Jackie Tooley, Abdus Choudhury, Mick Inglis. 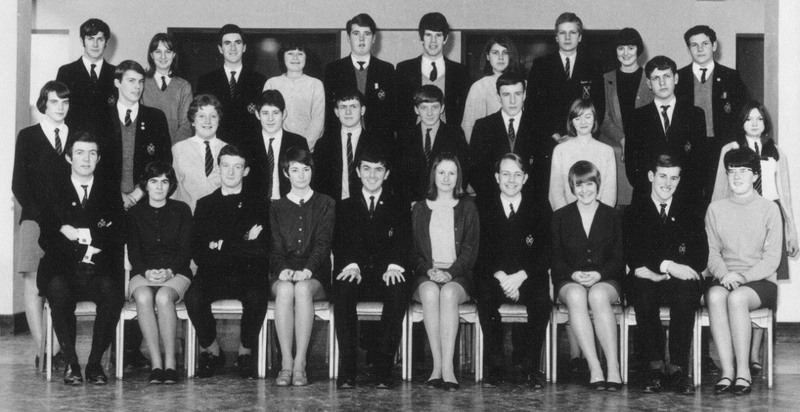 FRONT ROW L-R: Carol James, Honor Craven, Christina Taylor, Michelle Knight, Jagdish Dedi, Kee ?, Derek Redford, Vic Chapman, Percy Younger (Sixth Form tutor), Gerald Law, Valerie Hawkins, Clive Berry, Mick Ferrell, Jane Dyason, Magnus Gunnerson, Mick Mercer. Not in photo: Paul Brignal, Nigel Wilkins, Richard Arthur, Lesley Brookfield, Lawrence Wood, Gillian Stanistreet.